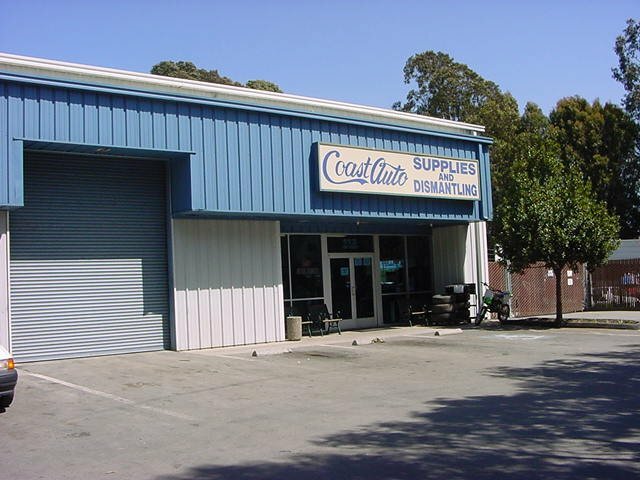 The front of our facility where we have approximately 3 acres of room to store our vehicles. 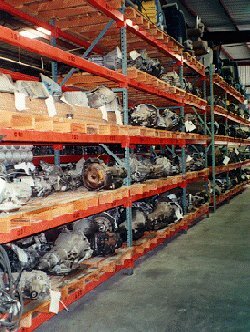 We can ship parts anywhere and can have them there the next day. Our front counter. We have 5 salespeople servicing our retail walk-in customers. Inside our warehouse. 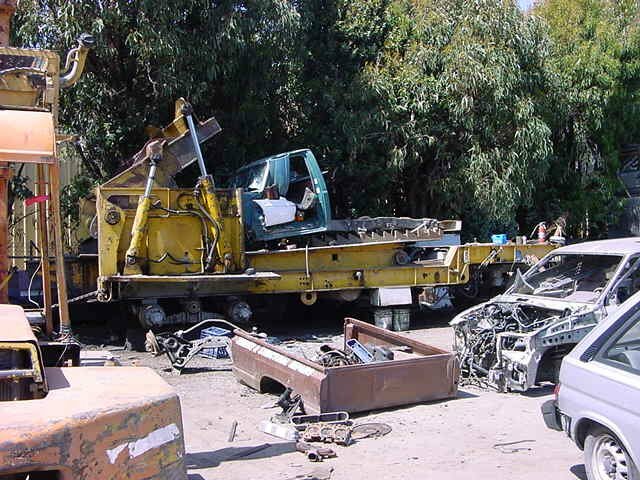 Parts are stripped off our vehicles and stored here to prevent damage and rusting. We stock and tag each part for immediate retrieval when needed. These transmissions are ready to go at a moments notice. Here's a look at part of our 3 acre site. 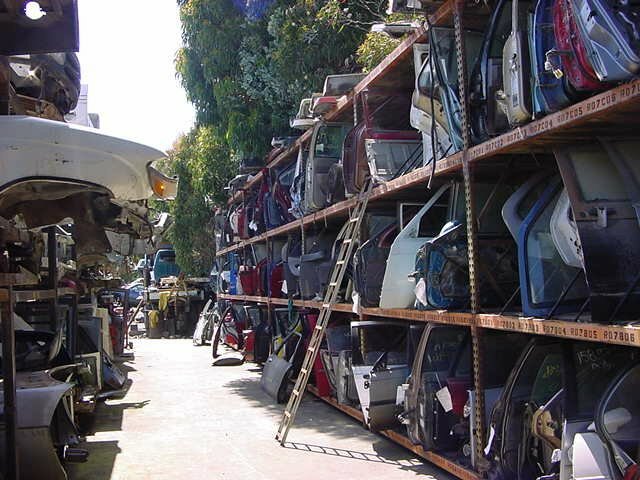 These are just some of the vehicles we have on hand which we recycle parts from. You're looking at our aisle of doors. We have a huge variety of doors to fit most models of cars. Even if we don't have it on hand, our nationwide locating service can find the style you need. 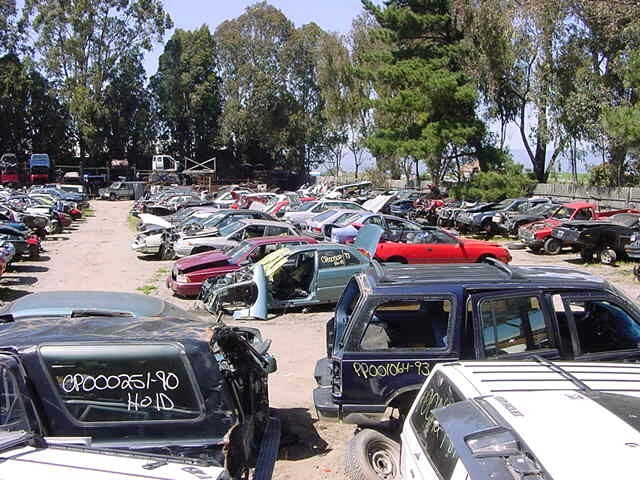 What do we do with our cars after they've been stripped of all the usable parts? They go into our crusher and are sold as scrap metal to be recycled. 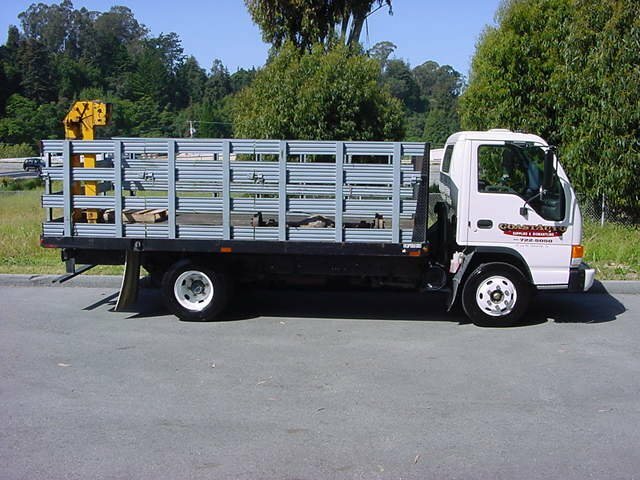 One of our local delivery trucks, which can deliver same day to our local area of Santa Cruz County, Monterey County, Santa Clara County, and San Benito County.